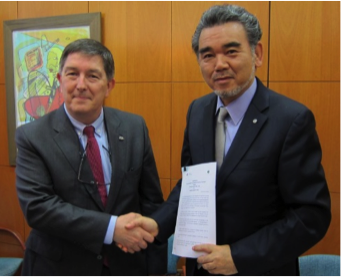 The Rector of Universitat Rovira i Virgili, Josep Anton Ferré, and the President of the Hiroshima University, Mitsuo Ochi, signed an agreement that will enable both universities to promote student exchanges through international exchange programs. Building on existing collaboration, both universities aspire to promote future research collaboration between the two institutions. More information available from URV and Hiroshima University.